What is Hearing Carry Over? 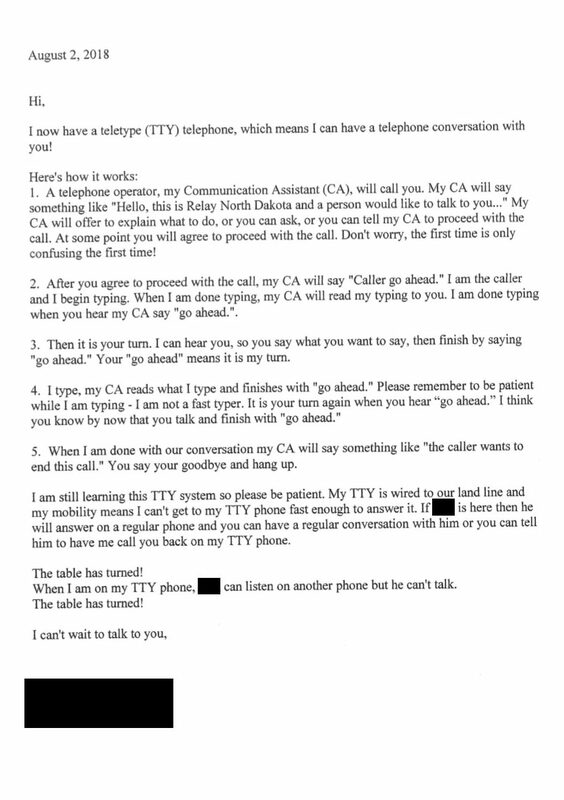 Hearing Carry Over (HCO) is a Relay North Dakota telephone service for people who can hear but cannot use their voice or have a difficult to understand voice. HCO allows users to hear the person they are calling and speak to that person by typing to a relay operator who, in turn, speaks what they type. The video below demonstrates a HCO user utilizing a TTY to call a business and schedule a vehicle maintenance. Who Uses Hearing Carry Over? Hearing Carry Over (HCO) is used by many people who, for some reason or another, cannot use their voice or who have a voice who is difficult to understand. Note: Aside from what is listed above, there may be more reasons HCO relay services would be a right fit for an individual. Hearing Carry Over Success Story! Steve, the son of Betty, a woman in her 80s with ALS, contacted ND Assistive to explore assistive technology options for using the telephone. Betty could no longer communicate clearly and independently on the telephone because ALS affected her ability to speak. Steve scheduled an appointment with an assistive technology consultant to explore adaptive phone options. After exploration, Steve thought a TTY with a keyguard and Hearing Carry Over (HCO) relay services would be a good fit. He applied Betty to ND Assistive’s Specialized Phone program where she could, at no cost, try out phone equipment that would allow her to make and receive calls independently. Shortly after taking home the TTY with a keyguard, Steve and Betty knew the system would work. This letter was sent out to all of Betty’s friends, family members, and the professionals she works with to educate them on her new phone system. It is a wonderful example of how an HCO user can help others understand the technology and service they are using.